Fast rising Swedish artist Axii has already made a huge impression on Dance music lovers around the world since he exploded onto the scene. The 18 year old multitalented DJ and producer, who is based in Malmö, boosts an impressive catalogue of releases which includes hits such as ‘Halloween’, ‘Sandwich’, ‘Banjo’, ‘Wild’ and ‘Blast’, so it comes as no surprise that he has been gaining the support from industry tastemakers like Nicky Romero and DJ BL3ND – a marvellous achievement for any calibre of artist. Next to be added to Axii’s record collection is the first instalment of his new ‘Axii & Friends – The Mixtape’ project. Showcasing six stunning productions, Axii has teamed up with fellow production friends Househunter, Dan York and Kim Alexander to give us ‘Back To The Future’, ‘Sommerlaune’, ‘Turn Me Up’, ‘Alone’, ‘Animals’ and ‘Tear It Up’ – six anthems that are a must have inclusion in any DJ’s upcoming sets. 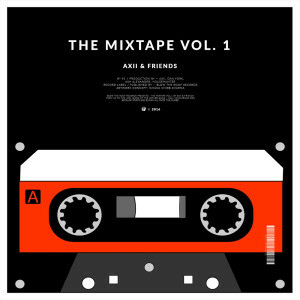 ‘Axii & Friends – The Mixtape Vol. 1’ will see Axii make his highly anticipated return to Blow The Roof Records – a label that has been his home for the past few years. Based in the UK, Blow The Roof Records has already gained a solid reputation amongst industry professionals, thanks to their commitment to nurturing and supporting upcoming talents. ‘Axii & Friends – The Mixtape Vol. 1’ is out now so make sure you grab your copy before it flies off the record store shelves.